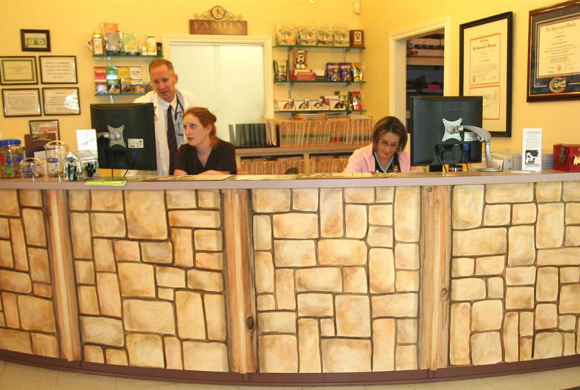 You and your pets are always greeted with a warm, friendly smile by our Client Service Representatives! 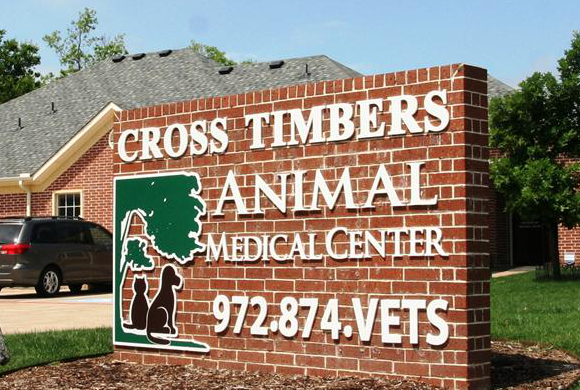 They're working hard to ensure a smooth visit to the animal hospital for both of you. 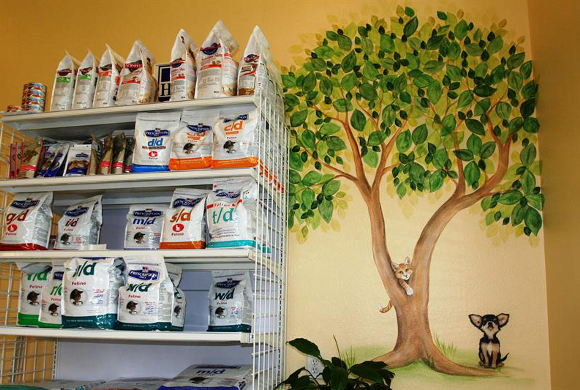 Comfortable seating, a selection of magazines and PetCare TV are located in our spacious lobby/waiting area. 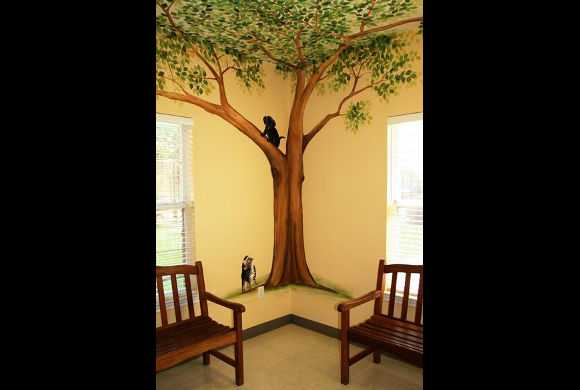 Your pets will feel right at home with the beautiful animal murals. 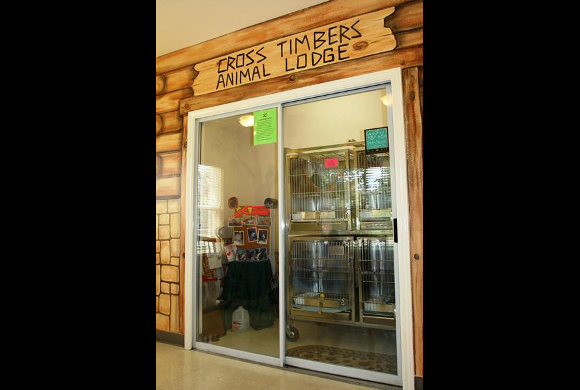 Children can browse through the selection of children books, sit on their own Texas stepstool and play with the bead maze while they wait with their furry friends. Don't get too comfortable though -- our staff is deeply committed to keeping our appointments on time! No need to make a second trip for Fluffy's dinner! We carry a full line of Science Diet by Hill's, the top veterinarian recommended diet to ensure youre pet's optimum health. Located near the reception area, our adoption center houses up to four adoptable kitties, who enjoy their stay in the kitty condominiums with us as much as we do with them. You may find a bio about each of our adoptable kitties by visiting the More Info Tab. 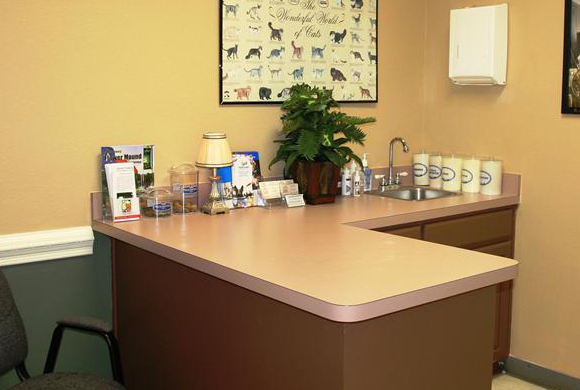 Our spacious examination rooms are colored in nature to calm pets, and they're kept immaculately clean! 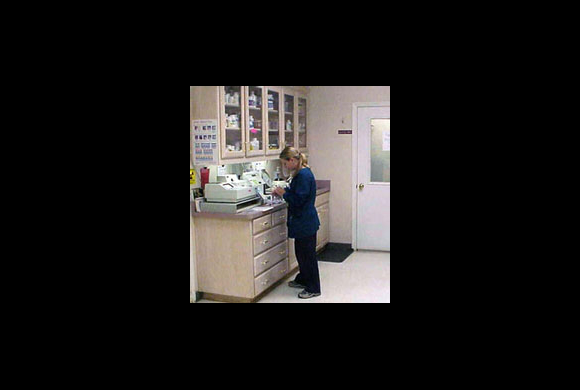 Our well-equipped medical laboratory provides state-of-the-art information about your pet's health. With an in-house lab, our patients don't have a long wait for their blood-testing results --with ill pets, every second counts! The Cross Timbers AMC surgery suite is well-equipped for routine elective surgical procedures, as well as those unexpected emergencies. 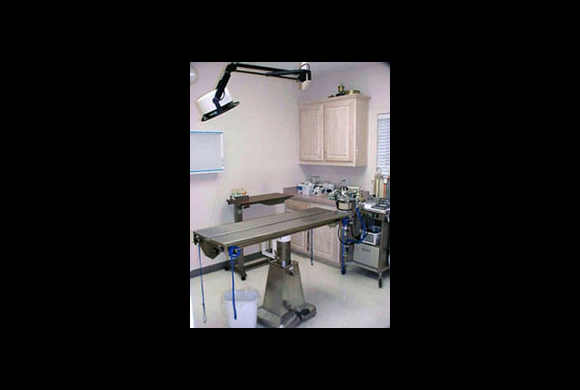 We use only the safest anesthesia available (Sevoflurane and Isoflurane), and protect your pet's post-surgical comfort with safe, effective pain relief. Worried your cat ate your sewing needle? Wondering if your dog is pregnant? 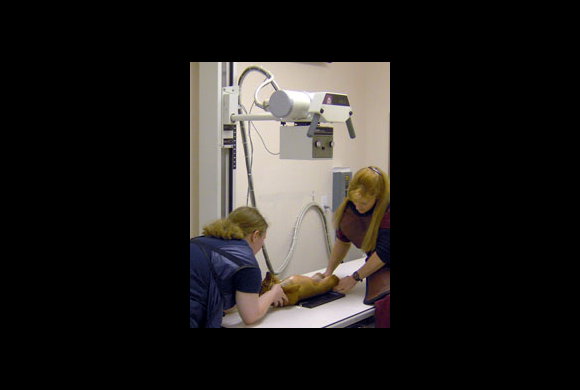 Our xray facility provides detailed diagnostic imaging, including special procedures such as barium series and positive contrast cystograms.